Every year in June the Club hosts a kick-off to Summer BBQ at the hangar. The event is open to friends and family of Borden Flying Club Members past and present, so come on out and enjoy a hamburger or Hot dog sit back and have some fun and laughs! We have some seating available at the hangar, but you are encouraged to bring a chair. 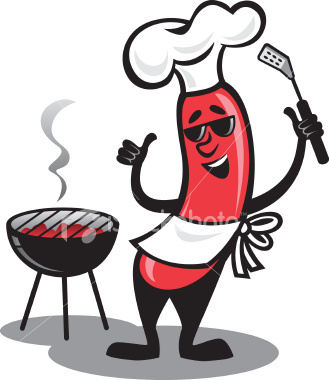 If you would like to contribute to the BBQ with a salad or awesome sweet treat it is always appreciated. I look forward to seeing everyone on the 24th! We are very glad to have closed-out another membership year with a continued stellar safety record - well done to all and thank-you! One administrative note, anytime a member comes for a checkout or annual review, ensure the check-pilot's name is entered into the logbook for that flight. This year we will look forward to keep both our practical skills and more importantly our "thinking pilot" mind skills, exercised. We plan to keep most operational procedures; simple, similar, and safe. Lets all set an unrelenting goal, to have another safe year. Aviators, PDW has been flying well with minimal snags. The co-pilot door latch was repaired. It was found to be pushed in on back side of the latch. Please caution passengers whom may not be familiar with the door operation initially and eager to get into the airplane. 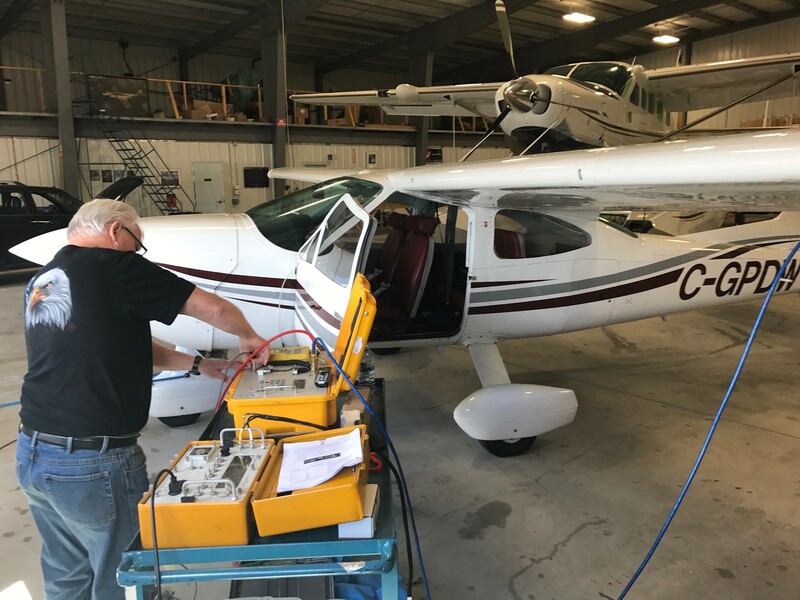 The airplane made a trip to Eagle Aircraft in Parry Sound where an pilot/static and ALT Mode C check were done. Pitot/static check passed however the ALT failed. A loaner ALT has been put in the aircraft and our ALT has been sent for overhaul. The installed ALT is certified, and operation in Class C airspace is permitted. June 5-6, 2017, the 100-hour inspection will be carried out while the airplane is getting the ALT swapped. The right-wing fuel drain hardware was changed however we continue to see “sweating” of the fuel and blue stains around the drain. The leak is very small and we continue to trouble shoot and locate where this is coming from. There is no pooling of fuel on the hangar floor. Please keep an eye on this and if anyone notices excessing leaks pass along to the PRM. COPA Flight 84 and the Borden Flying Club is presenting an Edenvale airport "doors open" June 24 from 10:00 untill 12:00. This will be a casual event aimed at getting the airport family better acquainted and letting each other have a peek at what and who's behind those hanger doors. We'll have a canopy setup where you can stop by and grab a coffee, a prop tag and chat. This is an inner airport event not open to the public and we'll be asking everyone to show the courtesy of actually entering the hangar only when the owner is present. Hoping to have as many hangar doors up as possible so come out and have fun couple hours getting to know our neighbours. This parachute jump activity is just off the base leg for runway 13. When the winds are N-NW, the jumpers may be very close to base. Keep a careful watch. Also, the radio activated lighting (ARCAL) at Edenvale is resticted by a photosensor. Runway lighting will not operate until dark. Please be vigilant around dawn and dusk. Note the airport beacon (strobe) has also been decommissioned.